I advocated Army and Navy joining the SEC a few years ago. Most here thought I was nuts. I still think Army and Navy could compete in the SEC. If Vanderbilt could go to a bowl playing in the SEC 5 of the last 8 years, why couldn't Army and Navy? Don't you think recruiting would improve for both if they were in the SEC? They'd have a pipeline to talent rich areas like Florida, Georgia, Louisiana and Texas. The SEC announced a few years back that members of the conference had to play at least 1 power conference among their four non-conference contests each season. Later they announced that a game with Army could count as a power conference opponent. Army is looking good right now but they still have the deck stacked against them as far as ever competing for a national title. Navy is in a slump but will get things back in order. Vanderbilt has a much better shot at a national title right now than Army or Navy, because of being in the SEC. I guess the argument could be made that Army could gradually make their schedule more rigorous to improve it's chances of making the playoff. However, the rules are setup to the benefit of the power conferences. The argument could also be made that the SEC wouldn't invite Army and Navy to the league. I think they would because of the national stature of both schools. Both Army and Navy get good TV ratings nationally. It's all about money in college athletics and the SEC could further solidify its product by adding the two academies. Of course, Navy would have to pay a big exit fee to leave the American but they'd get it back plus much more within a couple years. 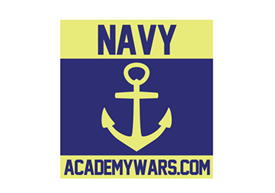 I know this probably will not happen because the image of Army and Navy has changed over the last 50 years from national power houses to that of scrappy academy schools. Being members of the SEC would get that status back for these two schools.